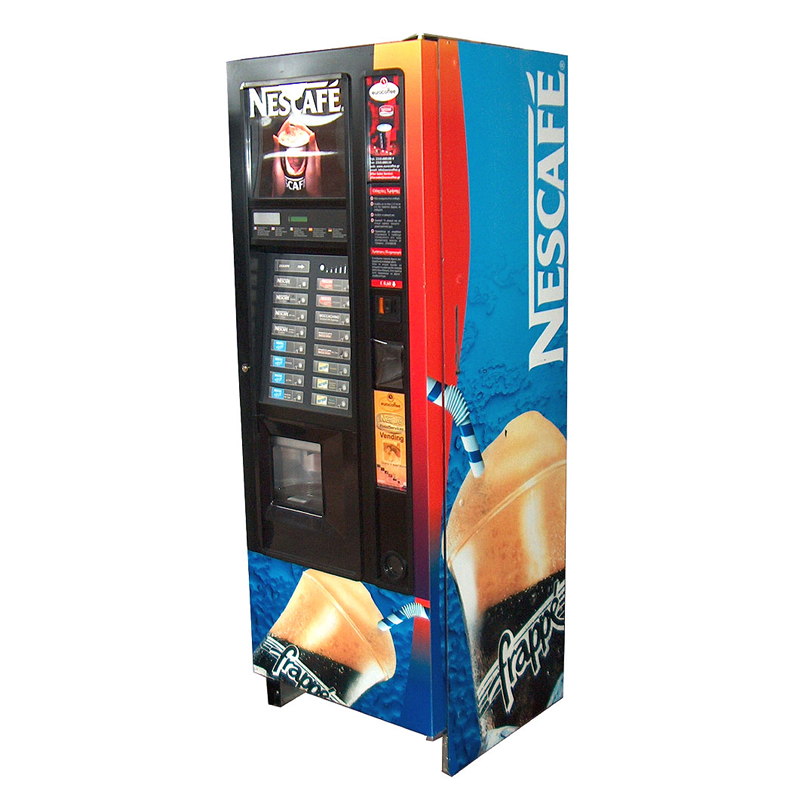 Vending machine able to deliver high quality drinks, suitable for a wide variety of public vending sites. Its vandal-proof features avoid loss of money and expensive damage to the machine. It also has 2 back-lit photographic panels easy to replace with customized ones. Kit to fasten the machine to the wall and to the floor.